Here’s a behind the scenes look at one of our meetings along with some member interviews. Thanks to Devin Briski for putting this together. I planned my Thanksgiving dinner for weeks. I received phone calls and texts from all of my children indicating their “must have” recipes, especially sweet potato with marshmallows- something I have been trying to sneak off the menu for years, but no luck converting everyone to healthy eating on this holiday! I am one of those people who has a Google document with the Thanksgiving grocery shopping list on my smartphone for instant reference. I washed and pressed my tablecloth and got new big bowls to serve up the special grandma-handed-down soup recipe. But for me, the Thanksgiving holiday was summed up perfectly in the article: “Forget who’s coming to sit at my dinner table this Thanksgiving; let’s talk about who will be under the table” by Nancy Kerns in Whole Dog Journal. As a New York City dog fanatic, and a more than satisfied customer of the Trusty Amigos Dog Walking & Pet Care Cooperative, I confess that this Thanksgiving in particular I thanked the dog-deities that my little Camilla, the shepherd-hound rescue, has joined our family. In my last post I shared thoughts about Camilla’s health and wellness, and I am very glad to report that she has gained weight and strength and is now a bubbly, energetic girl who loves long walks and is looking forward to her first big walk with Cristal, our Trusty Amigo dog walker. This week, Camilla- now fully immunized since she is in the peak of health, and revved up by her daily dose of dog probiotic and flax seed oil- can join her brother Noodle on a Trusty Amigos’ style super-walk. I know that she will return happy and calm from this extra special exercise opportunity. I love that Trusty’s Cristal sends me photos of Noodle on his walk, and I look forward to seeing Ms. Camilla’s photos too. I’m going to be plenty thankful this holiday season for my wonderful family and great kids and granddaughter, and for the wonderful dog-folk under my Thanksgiving Table: Camilla, Noodle and Chili dog! 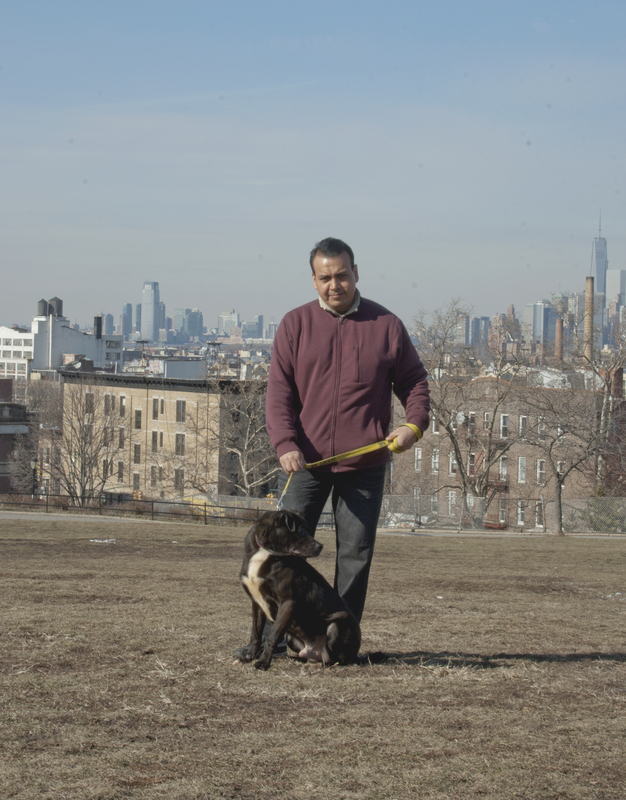 Guest Blog Series #1: Natural Health – Can it work for NYC dogs too? Camilla is sweet as pie, gentle and loving and has the softest puppy dog eyes, but weeks of transport and transition to the shelter from “down south” where she was born have left her in need of a little TLC and boosting up health-wise. While I have been working with our local vet to manage immunizations and standard health checks, I have been exploring the world of natural health and nutrition for dogs. My own health journey led me to the benefits of green juicing, kombucha and probiotic supplements, and I wondered- could a natural approach to health be of value to my new puppy dog? Initial exploration has led me to understand that dogs, just like people, respond positively to omega 3 supplements and to probiotics tailored to their inner flora. I have ordered both and will, in future posts, share what I find. My search to better understand the world of holistic health for dogs has just begun, but future posts will chronicle my path and I look forward to input from readers along the way! My new question is about raw diets for puppies- are they OK, will they help her intestinal health? Answers to come! Meanwhile, my friends at the Trusty Amigos Dog Walking & Pet Care Cooperative have offered their support to help me help my Camilla make a great adjustment to her new home. Thanks Trusty Amigos! I feel a lot more confident taking this big step with you as my partners! Camilla, happy in her new home! We are very excited to announce that a current Trusty Amigos client, Julia Jean-Francois, will be writing a Guest Blog Series on our website. Julia is an avid dog lover, and recently adopted a new puppy from Sean Casey Animal Rescue in Brooklyn. Her first post will introduce her passion for pets, health, and the intersection between the two. Welcome and thank you, Julia! Today, National Cat Day, is a special day for Trusty Amigos and for all cat lovers! We love these Funny Feline Halloween Costumes. What are you doing to celebrate National Cat Day and Halloween? Click here to read more about the Trusty Amigos launch event! 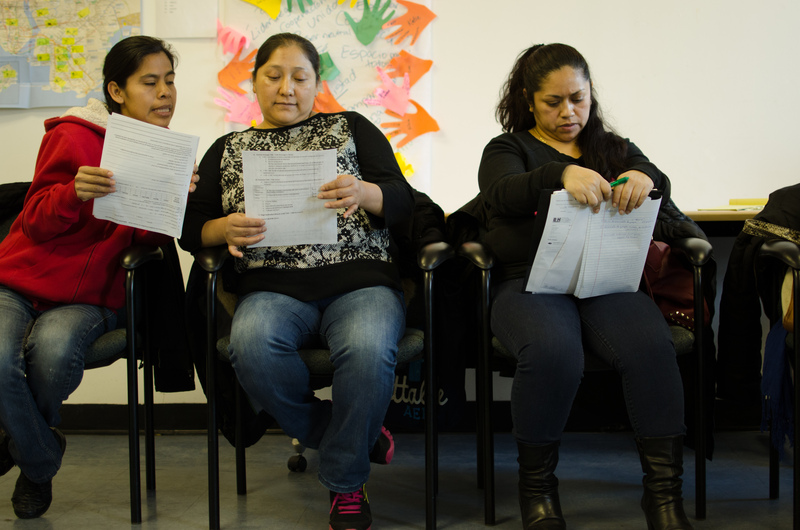 Click here to read more about Trusty Amigos and the Center for Family Life on Labor Press! 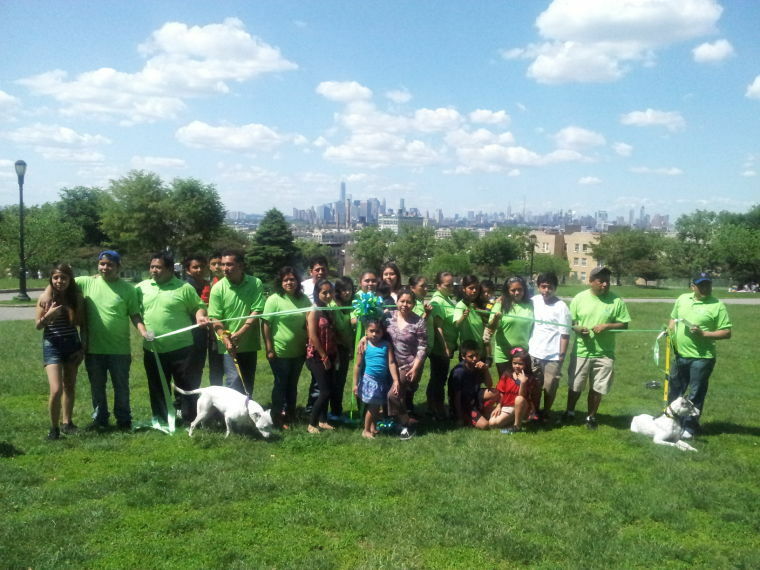 We are delighted to invite you to join us on Saturday, June 7th, 2014 at 2 p.m. to celebrate the launch of Trusty Amigos Dogwalking and Pet Care Cooperative, a new worker cooperative formed and democratically governed by 15 animal-loving entrepreneurs in Sunset Park.